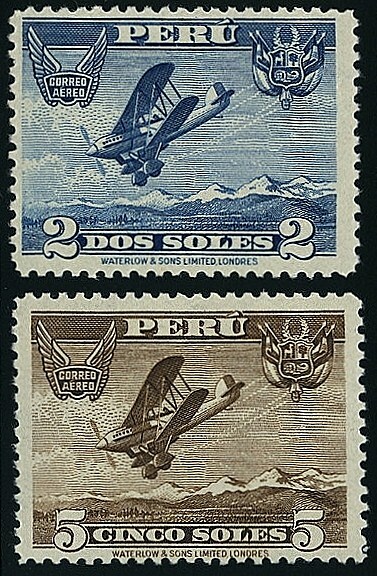 In 1936, Peru issued a pair of airmail stamps picturing a plane in flight (Scott #C4-5). 60,000 sets were issued, and Scott '13 prices the unused set at $21.50. 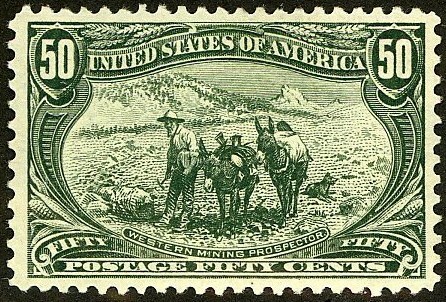 It is likely that the vast majority of these high-denomination stamps were used as postage and discarded, as they would have been too costly for the average Peruvian to purchase as collectibles during the Great Depression.